Shaykh Abbas-e Qummi is the author of the indispensable book of du’as, called Mafatih-al-Jinan, (Keys to the Heavens). He was an expert in hadith, and for this reason, he is famously known as Muhaddith-e Qummi. Amongst his many other works, Manazil-e Akhira and Safinatul-Bihar are well-known. One of the senior scholars of Najaf once said to Shaykh Abbas-e-Qummi, “My foot is constantly hurting me - please pray for me.” The Shaykh replied, “If I say I will pray for you, it is possible that my prayer may not be answered if I have uttered something sinful in the past. However, I will pass my hand over your foot, because with this hand I have written many ahadith of the Ahlu’l Bayt (AS) and Insha’Allah Imam Sadiq (AS) will effect a cure for you.” He rubbed his hand over the scholar’s foot and the pain left him immediately. One day he was sitting contemplating in the graveyard of Wadi-as-Salaam in Najaf - where many great personalities are buried. He saw that some people had just buried a man. Suddenly, for a brief moment, the veils were lifted from before his eyes and he saw angels descending from the heavens with whips of fire with which they began to strike the dead man. He started to scream and shriek in pain, but none of the mourners heard or saw anything unusual; there was a man sitting near the grave reciting Qur’an and another was distributing dates and fruits, and another was weeping, but none saw what was happening to that man. However, the terrible sight that the Shaykh saw in those brief moments made him ill for one whole week. After a few hours of negotiations, the scholar and the printer had eventually worked out a deal. As the scholar handed over the manuscript, however, he seemed to be deep in thought. And then, he seemed to completely change his mind. Leaving the printer confused, he picked up the manuscript and left. Over a year later, he returned. The publisher inquired about his strange behavior. The scholar said, "I had composed a book on the supplications and prayers to be performed for each day of the year. However, I felt it was unfair for me to tell others to do them without having done them myself. So, for the last year, I have gone through the book and performed every act for each day that is recommended. Here it is now for publication." The bewildered printer took the manuscript from the scholar, probably having no idea that it would soon become one of the most widely-read books by Shias around the world! Shaikh Abbas had extensive knowledge of Hadith, and for this reason, he is also famously known as Muhaddith al-Qummi. In fact, when one of the scholars in Najaf asked him to pray on behalf of his hurting foot, Shaikh Abbas replied, "I have committed sins in the past, so it is possible that my prayer will not be answered. However, I have written numerous narrations of the Ahlul Bayt (peace be upon them) with this hand of mine, so I will rub it on your foot, and Insha'Allah you will be cured by the sake of Imam as-Sadiq (peace be upon him)." He rubbed his hand on the other scholar's foot, and the pain vanished immediately! Because of his vast knowledge, Shaikh Abbas was often asked to write commentaries on the Kifayaand Makasib of Shaikh Murtadha Ansari. However, his real interest lay in supplication literature. After a long and arduous struggle, Shaikh Abbas compiled a book that contained the text of and detailed instructions on supplications (Du'as), salutations (Ziyaraat), and prayers for each day of the year. He dedicated it to the soul of Lady Fatima Zahra (peace be upon her), saying that with her blessings, the book would become Mafatih al-Jinan (keys of paradise). Today, the book can be found in essentially every single Shia mosque, library, bookstore, school, and household. It has been translated in many other languages since then. The English version is known as either The Prayer's Almanac orSupplications: Call on Me, I Answer You and is available online. An extremely pious individual, Shaikh Abbas not only compiled a manual of prayers and supplications, he actually lived his life by them. 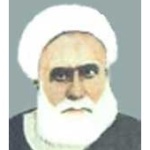 Ayatollah Buzurg Tehrani writes that he found him to be a model of abstinence and piety, completely aware and practicing of all the religious laws, and extremely devout in following the teachings and examples of the Ahlul Bayt. In fact, when he compiled the Mafatih and took it to the publisher, he in fact brought it back and acted upon its various recommendations for the entire year before submitting it for publication again, a tremendous example of the concept of "practice what you preach." In addition to Mafatih al-Jinan, he also penned several important books. These include Safinat al-Bihar, Nafs al-Mahmoom, Muntah al-A'amal, and Manazil al-Akhiriya. Many of these have been translated into English, including Nafs al-Mahmoom, which is an account of the tragedy of Karbala. In 1359 AH, Shaikh Abbas passed away in the city of Najaf. His funeral prayers were led by Ayatollah Sayyid Abul Hassan Isfehani, and he was laid to rest in the courtyard of Imam Ali's (peace be upon him) shrine.